We use cutting edge technology and the best methods possible to offer you web solutions that fit your needs. Our focus is always on usability, security and creating unique user experiences. We can guarantee an exceptional final product, as our team always works with the intent of creating appealing, powerful, usable and efficient websites. The way we communicate nowadays has changed. We are more connected, and we like to connect instantly. Users consume more content on mobile devices due to the evolution of technology, markets and the economy. This offers users a wide choice in terms of devices, capacity and affordability, turning mobile devices not only into a fundamental tool, but also a very useful one in their day to day lives. 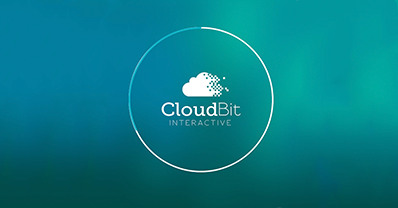 At Cloudbit, we understand the important role that mobile devices play for both users and brands. That is why we create, develop and implement multiplatform mobile solutions that are tailored to your needs. So, if you would like to connect with your users on a more immediate level by becoming more current and fun, we can help you. Interactive access to product catalogs, price lists and commercial brochures. Round-the-clock service, 24 hours a day, 365 days a year. We work closely with our customers to create, design, develop and implement the best online sales solutions. Social networks are not an alternative medium, they are a must. These platforms allow brands to establish a close relationship with their clients by engaging with them daily and identifying those who genuinely love their product or service. At the end of the day, the goal is to generate a community that will offer you the possibility of identifying new insights to optimise your strategy and reach your targets more easily. You can count on Cloudbit to create relevant and engaging social media strategies. Let us help your brand gain more visibility on social networks.